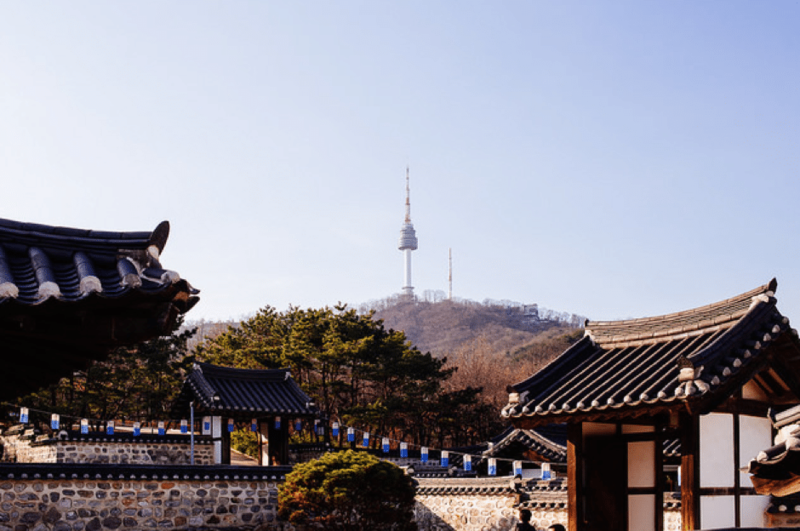 If you are about to travel to Korea and would like to find out what are some of the best things to do while in Seoul, check out this Seoul itinerary 3 days and 2 nights. We will focus on several popular areas in this trip – Myeongdong, Namsan and Itaewon. Try this suggested itinerary and create beautiful memories here! The best Seoul itinerary 3 days and 2 nights that every Muslim travellers must try! Let’s start this Seoul itinerary 3 days and 2 nights by talking about the transport. If you are to travel to Seoul by flight, you will most probably land at Incheon International Airport. From here, there are several transportation options that you can choose to get to Seoul city. You can take the subway train from the airport to downtown Seoul. There is also Airport Limousine Bus for you to catch. Take a bus with the number 6015 or 6001 Express to get to Myeongdong. Another option is to take the local taxi. However, the fare is more expensive. Mr & Mrs. Halal traveling tip: The bus route is always changing, so make sure you check for the latest routes at the airport information counter. 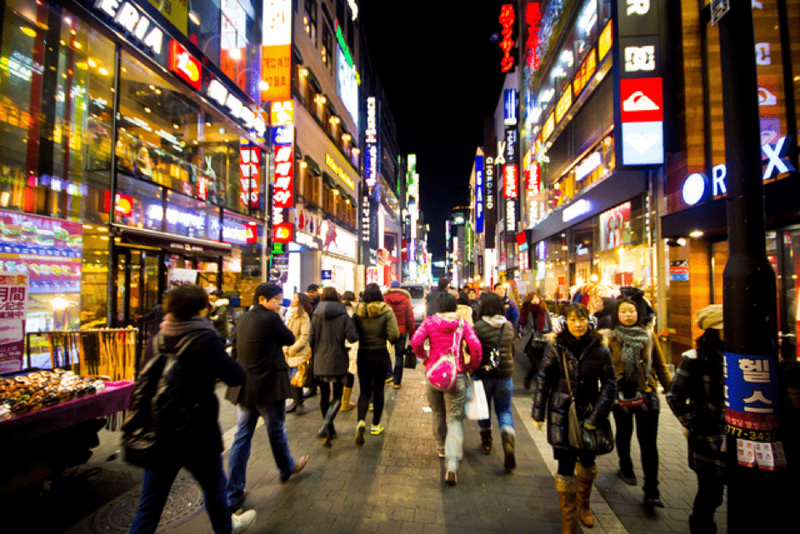 Myeongdong is one of the best places to stay while in Seoul as it is the famous shopping district in town. 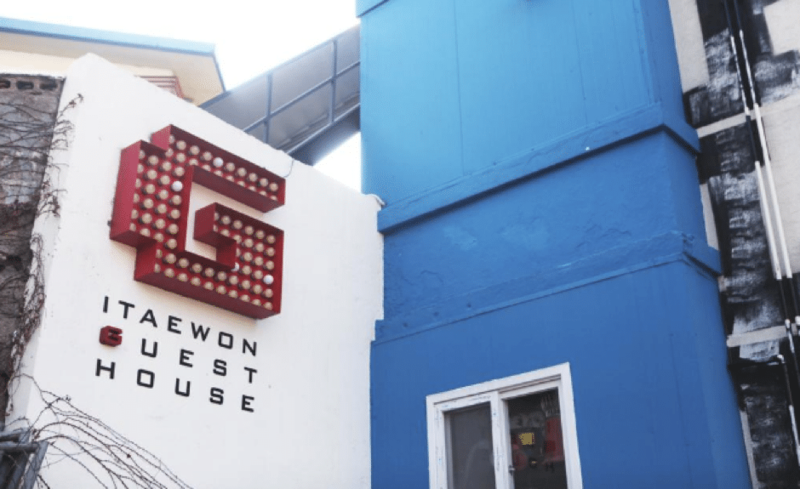 However, you can also stay in Itaewon (you can find lots of halal street foods here as well as Seoul Central Mosque), Hongdae (offers great nightlife), Gangnam (mingle with KPop’s rich and famous), or Hyehwa (a quaint little university town with lots to see and experience). There are many other top hotels, boutique hotels and hostels for backpackers in Seoul. Feel free to choose one of them and you can always travel by subway to get to the nearest halal restaurants! After checking in into your hotel, it is time to explore the city. 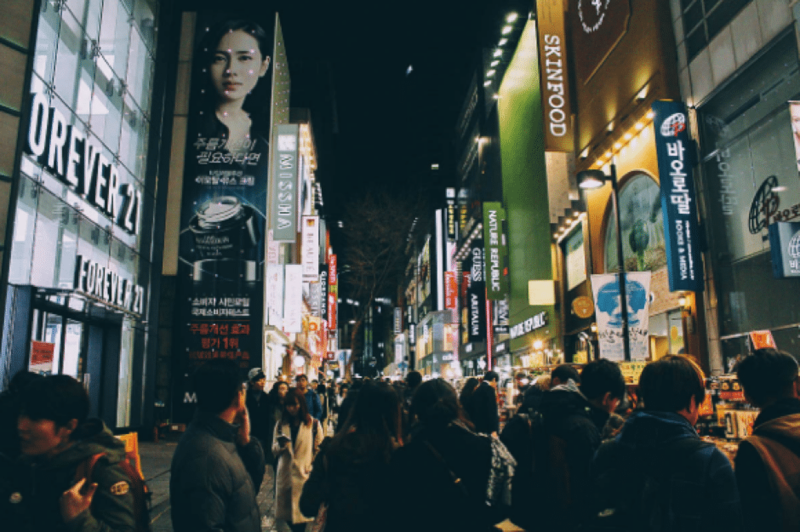 Put on your most comfortable shoes and let’s have a walk in Myeongdong. Watch NANTA Cooking Show at Myeongdong NANTA Theatre – it is a comedic musical show that includes magic tricks, pantomimes, and acrobatic! Shop skincare/cosmetic products at Myeongdong Shopping Street – It is a busy street with a long line of small shops. You can collect free facial mask samples while at that! Enjoy a sip of green tea at Osulloc Tea House – Learn a thing or two about green tea and enjoy watching the tea sommelier does its brewing magic. Feeling hungry? 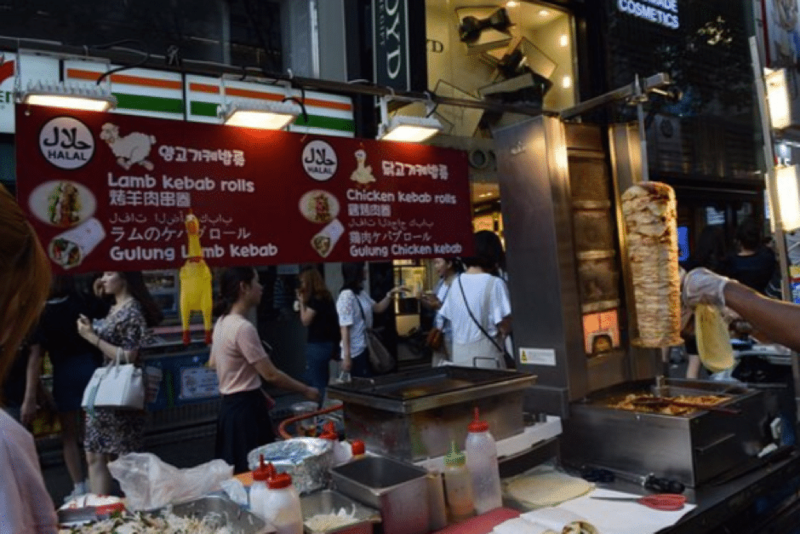 Grab a halal kebab at Doner Kebab situated right in front of Forever 21 store. 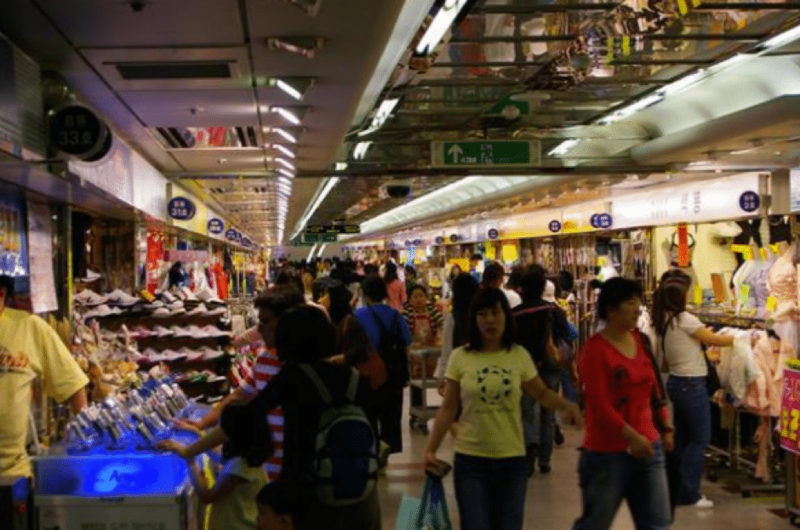 If you would like to get your shopping fix, Bupyeong Underground Shopping Mall is another best place to visit. It is a huge shopping complex that houses 1,408 shops that sell a variety of goods – shoes, bags, clothes, souvenirs, accessories and much more. 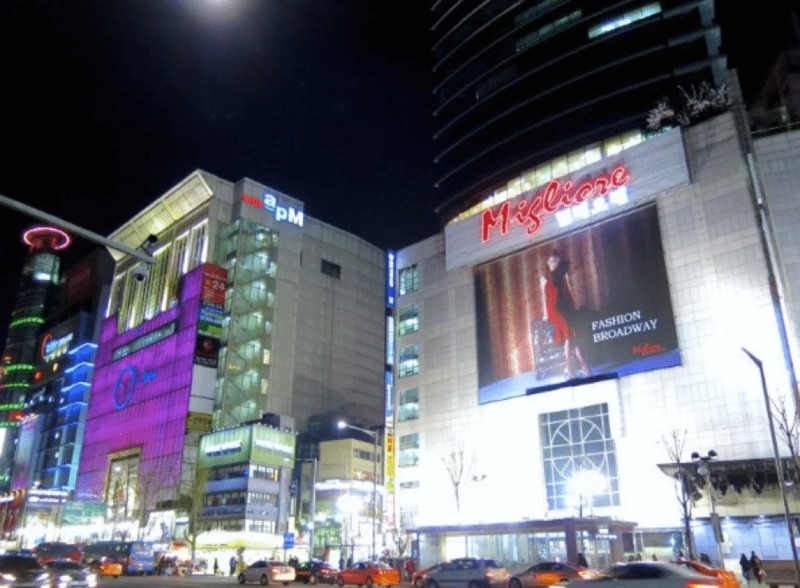 Continue shopping in the middle of the night at Dongdaemun Retail & Wholesale. There is a wholesale shop section that opens all night long! Done exploring? Head back to your hotel and get ready for another adventure tomorrow! Let’s check out the next section in this Seoul itinerary 3 days and 2 nights. After living the city life in Myeongdong, the second day is about sightseeing. We are heading over to Namsan Mountain to get to the highest point in Seoul. On this mountain, there is Seoul’s famous tower known as N Seoul Tower. The locals call it Namsan Tower. 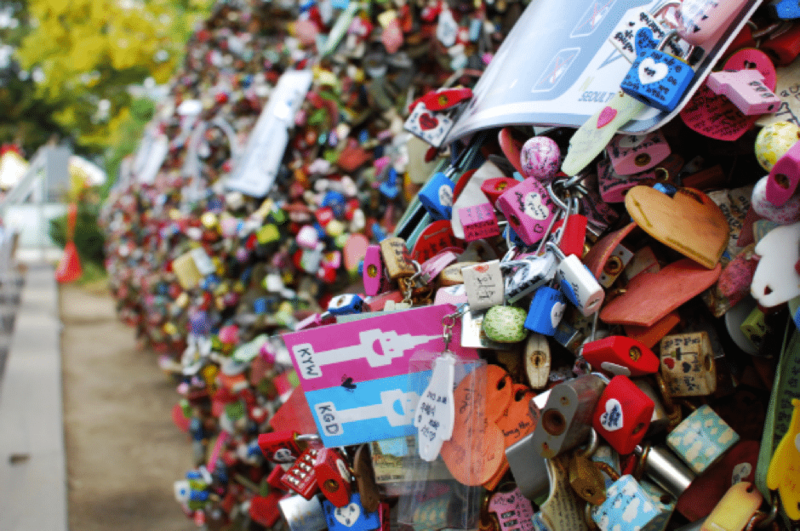 So, how to get to Namsan Tower from Myeongdong? Take a subway Line 4 to Myeongdong Station and get off at Exit 7 or 8. You can then ride a shuttle bus to get to the cable car. Mr & Mrs. Halal traveling tip: It is best to take the cable car early in the morning. You can avoid the crowd and enjoy the warm morning sun! We recommend you to skip the cable car altogether and hike up the Namsan Moutain if you are to visit in Spring or Fall/Autumn. 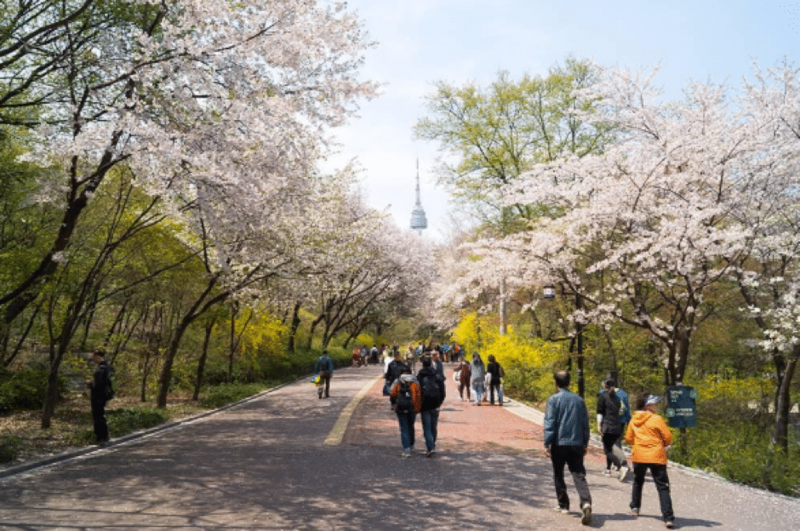 The Namsan park is very scenic in these two seasons. Visit Teddy Bear Museum and take pictures with the big, fluffy bears! Mr & Mrs. Halal traveling tip: The admission fee to observatory deck is 10,000 won for adults and 8,000 won for children. 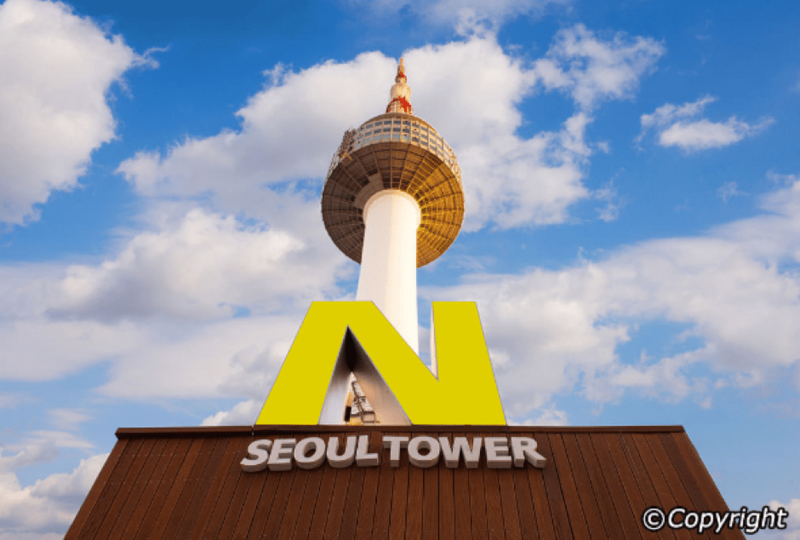 This trip to N Seoul Tower should take about half of your day. 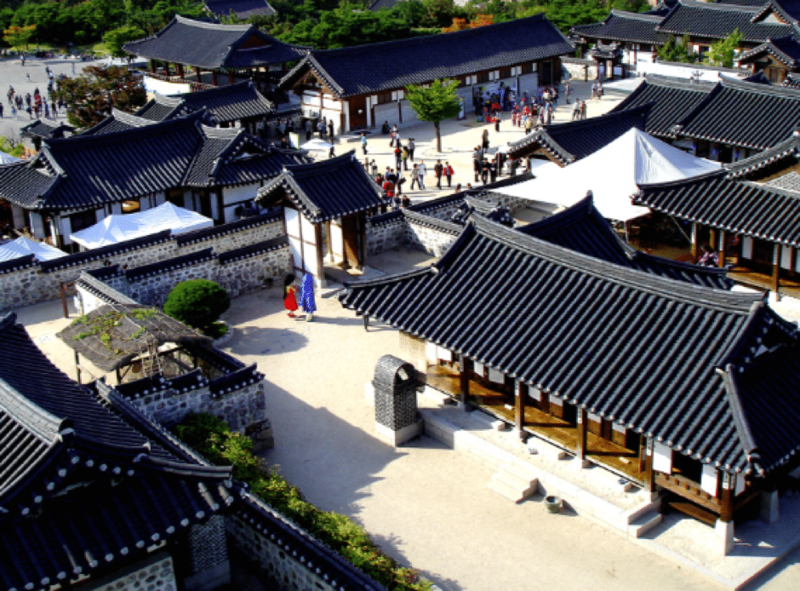 In the evening, let’s head over to the nearby cultural village, Namsangol Hanok Village. Situated in Namsan, Namsangol Hanok Village is one of the best places to learn about Korea’s culture. It showcases traditional houses, called Hanok, and Korean heritage architectures from Joseon Dynasty. 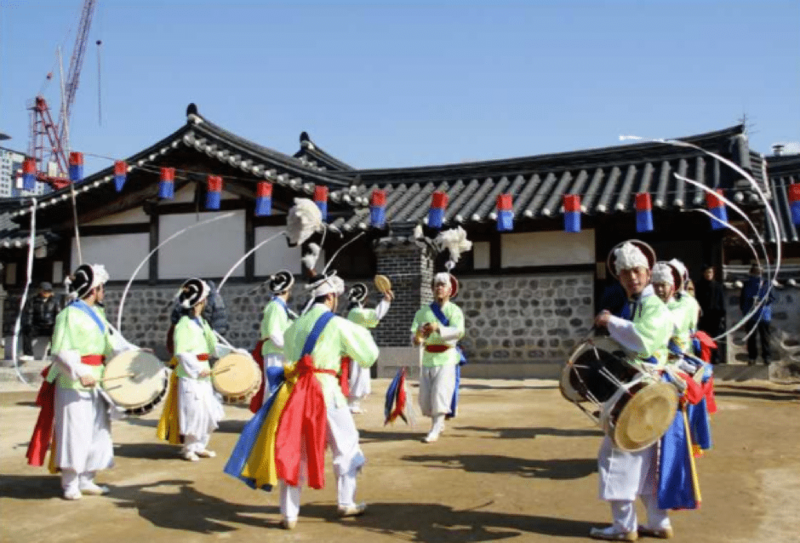 You can also do several traditional activities here – wearing Hanbok is one of them! We highly recommend you to book the cultural tour provided in this village. 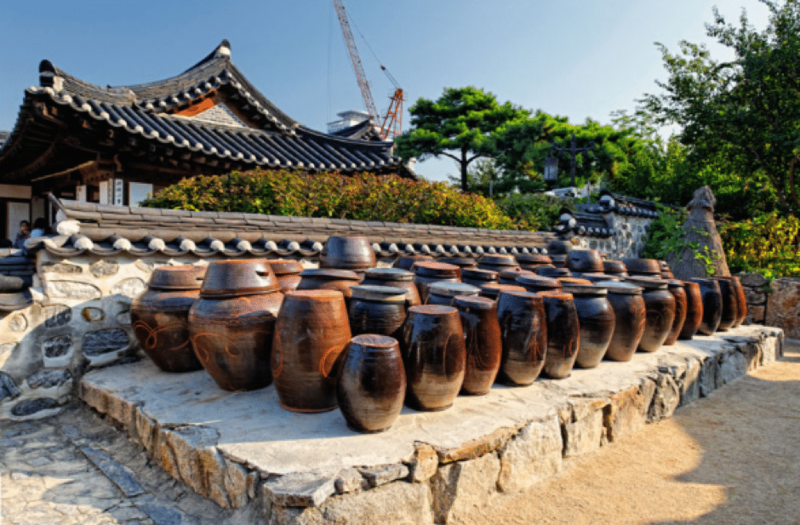 You will learn more about Korea’s history and culture from the tour compared to wander all by yourself. You can register on-site or online. The tour takes about 40 minutes and will be conducted in three different languages – Korean, Japanese, and English. The fee? Free of charge! It will be worth it, trust us! Yachae Pajeon – It is a vegetable pancake often sold at small stalls. They are tasty and most importantly, cheap! Fried Prawn Tempura – They are best eaten hot. Very crispy and filling. Sold at small stalls on the street of Namsan. 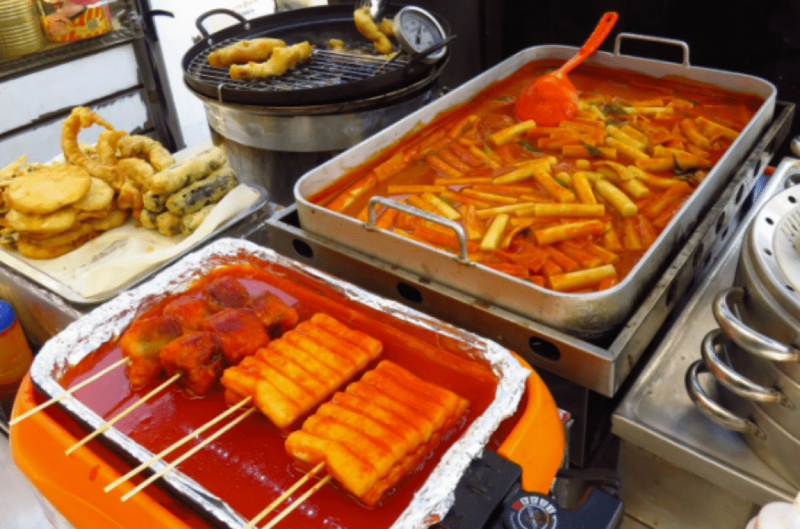 Tteobbokki – Head over to Busan Jib Halal Restaurant to try Korea’s traditional dish, tteobbokki (image above). Quite spicy but will make you beg for more! Now that you’re full, it’s time to get back to your hotel to get some rest. Tomorrow, we are going to Itaewon! On your last day in Seoul, let’s get closer to the Muslim population in town. 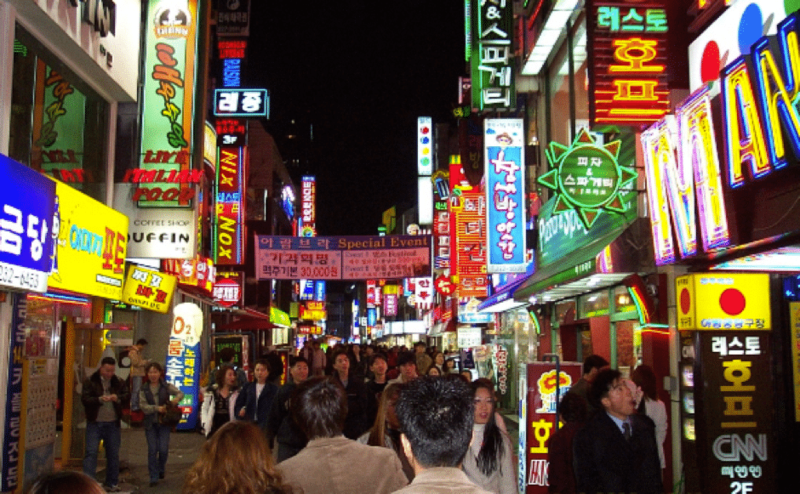 Besides Gwangju and Busan, most of them stay in Itaewon, which is also one of the liveliest areas in Seoul. After checking out of your hotel, pay Seoul Central Masjid a visit. Have a stop here and perform your prayers with the local Muslims. After that, enjoy an educational session at National Museum of Seoul. 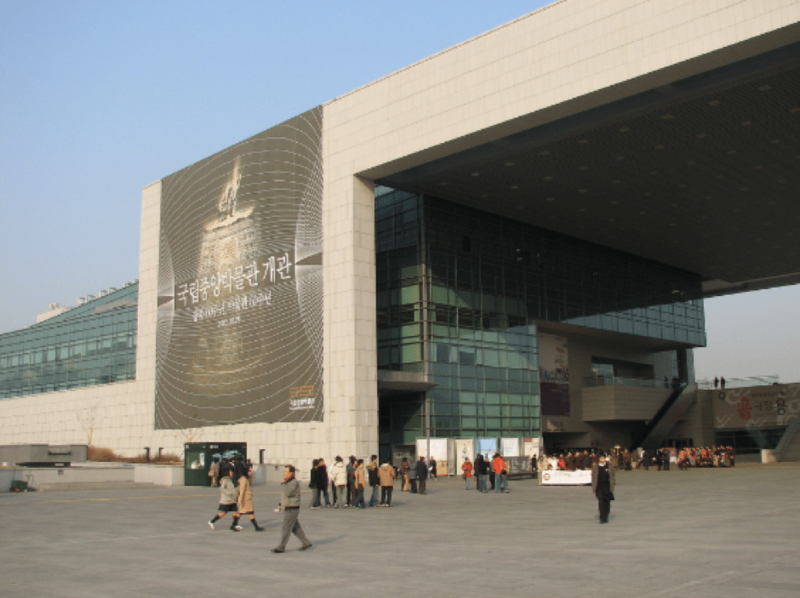 You will be able to look at many historical artifacts at this largest museum in South Korea. If you are up for some last-minute shopping, head over to Dongdaemun Market. 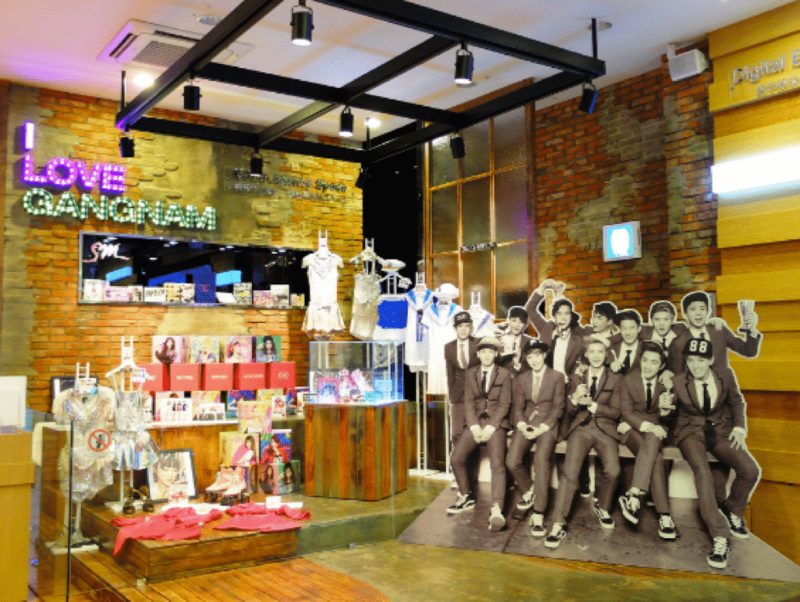 There are many shopping malls here such as Hello APM, Jeil Pyeonghwa, Doota, and Heungin Stardom. How do you like this Seoul itinerary 3 days and 2 nights? Once you get your souvenirs for your loved ones, it is time to board the plane to go back home. You have now successfully followed this Seoul itinerary 3 days and 2 nights. We bet you will plan for another trip to Seoul very, very soon – there’s so much more to explore! If there are any must-see places that we haven’t mentioned in our itinerary, please let us know and we’ll either add it in or make sure we put it in the next one!